Andrew has, quite literally, grown up with Woodbender. His father, Charles, founded the company in 1988, with his mother, Shirley, and grandfather, John, joining a short time later. Growing up, Andrew seriously considered becoming a pilot or doctor, but later realised that he couldn’t pass up the opportunity to play his part in the family business. 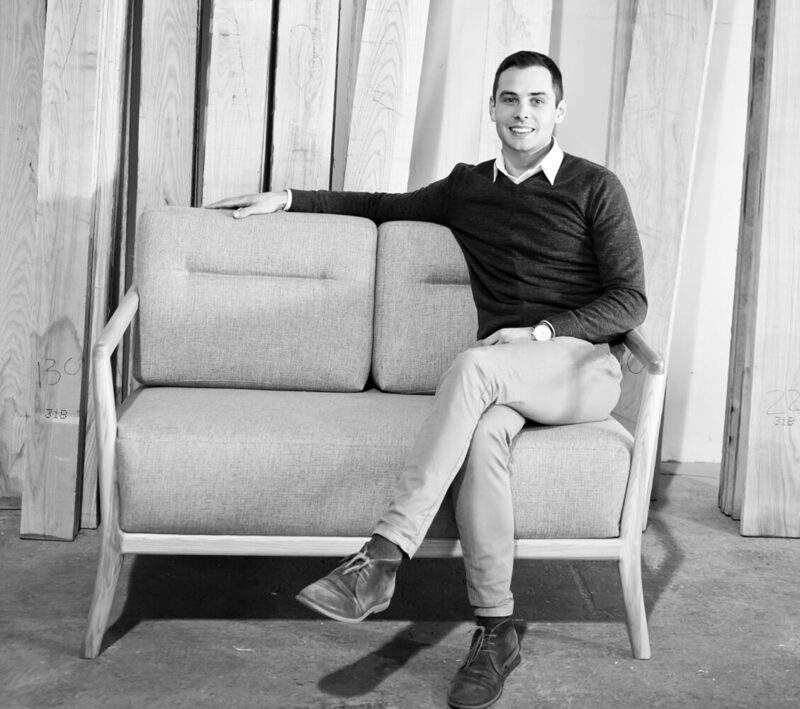 After studying a BCom at Stellenbosch University, he joined the company and hasn’t looked back. We caught up with him to find out more about his role and his unique insights into a business that has spanned three decades and is still going strong. What was your first position at Woodbender? I started in January 2013 on the factory floor as the Production Manager’s assistant, doing anything and everything that needed to be done – and learning as much as I could about the production process. From there, I took over the bookkeeping function for a year and learned about the company account processes. I then moved into operations, which, in a small business like ours, meant that I did a bit of everything – from HR and IT to sales. This was a great experience as it exposed me to all aspects of the company. As General Manager, what are you responsible for? My team consists of four specialist managers in the areas of Production, Marketing, Sales & Research and Development. Together, we ensure that the company is represented in the best way possible through the quality of our product, service and messaging. I love being involved in all aspects of the company, it keeps my day interesting. I love the people, some of whom I have known for most of my life. I love the process. Steam bending timber is an art, and when you watch it happening in front of you, you can’t help but smile. I love the legacy. I am incredibly proud of my parents for what they have achieved over the last 30 years, helped along the way by my grandfather, John, and more recently, my sister, Emily. By working at Woodbender, I’m helping to continue that legacy, and I hope my children will be able to contribute to it themselves one day. Computers. They always seem to break. What daily habit have you developed that you would recommend to others? I try get up as early as possible in the mornings, so that by the time I get to work, I have already planned my day and everything that needs to be done. This does get more and more difficult in winter though! Winston Churchill – what a legend! What is your favourite Woodbender piece? I gravitate towards the Arabella range of chairs. They look really sophisticated and work well in most spaces. When you’re not working, you’re…? Being a dad to 12-week-old Oliver, who keeps his mom and me pretty busy. I also enjoy trap and sporting clay pigeon shooting, which I do as often as I can. And occasionally I wet a fishing line, preferably on a river or dam.